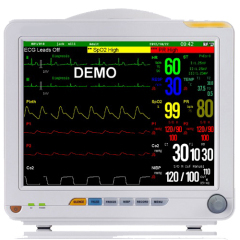 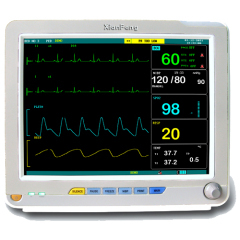 Portable 12.1" color TFT display,Standard: ECG, NIBP, SpO2, RESP, TEMP, PR/HR,ECG. 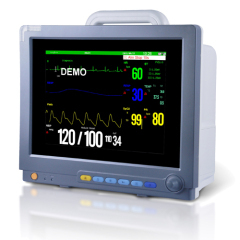 Portable 15" high resolution color TFT display,Standard: ECG, NIBP, SpO2, RESP, TEMP, PR/HR,ECG. 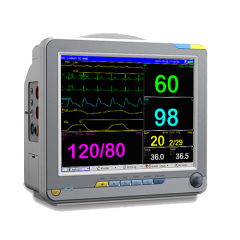 Group of Patient monitor has been presented above, want more	Patient monitor and monitor, Please Contact Us.